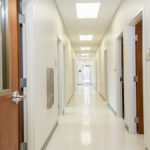 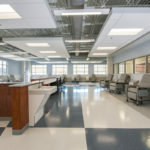 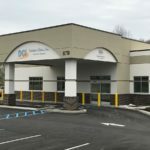 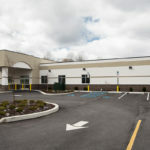 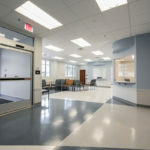 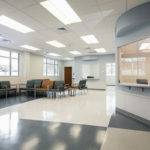 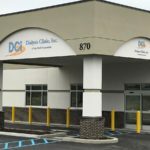 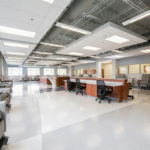 A. Martini & Co. completed a new medical building that will house the Dialysis Clinic, Inc.’s (DCi), Indiana, PA location. 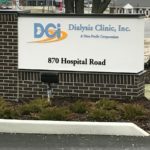 This 11,000sf facility was built to offer DCi its own space, outside of Indiana Regional Medical Center, where it has resided since 2001. 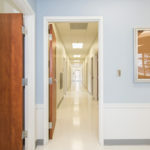 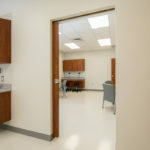 This is a 23 station facility, with training rooms, treatment/consulting rooms, insurance consultant areas, isolation areas, and repair rooms for hook-up and maintenance of the medical equipment used for treatment. 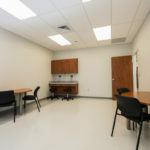 The open ceiling in the treatment room is a distinctive feature within the building and offers a ton of natural light into the space. 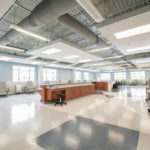 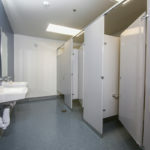 The project took 11 months to complete, with a large part of that focused on the site work that had to be done prior to the construction of the new building beginning. 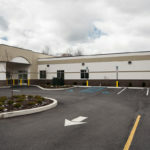 Half of the site is compacted fill material that is held in place by the construction of a large retaining wall. 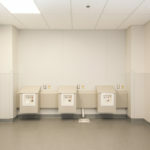 Additionally, there was an extensive underground water retention system with-in the compacted fill material. 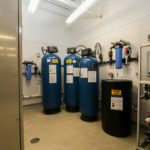 This system slowly releases all of the storm water from the site, when needed. 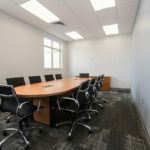 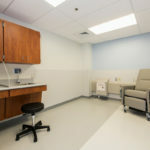 Extensive coordination between the architect, the medical equipment supplier and our project team took place while the dialysis piping and equipment was being incorporated into the space and installed during construction.